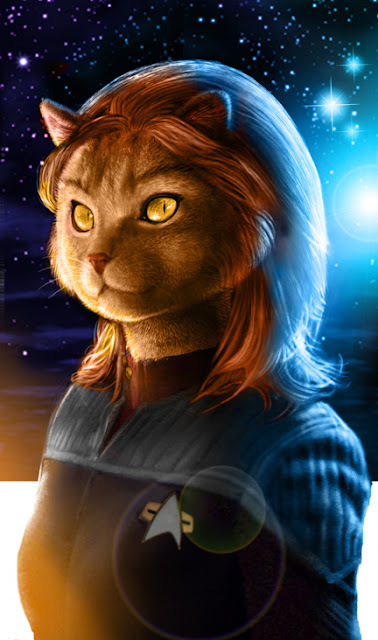 The Trek Collective: Book bits: New DS9, Wrath of Khan side story, Into Darkness, and M'Ress. 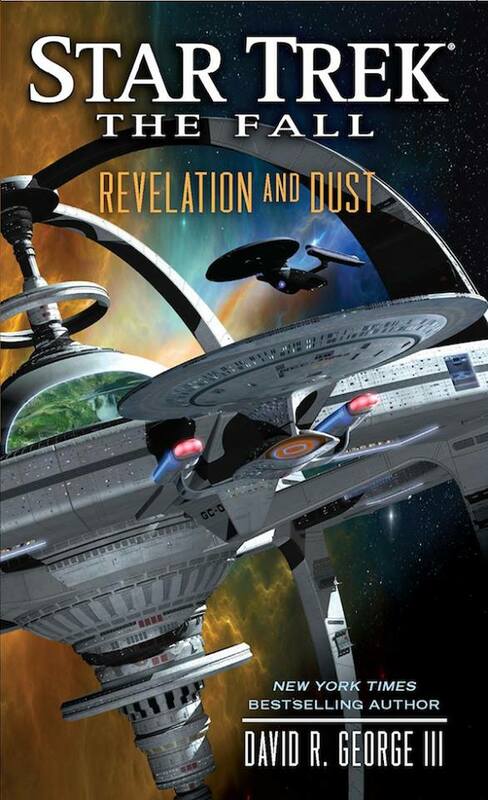 Book bits: New DS9, Wrath of Khan side story, Into Darkness, and M'Ress. UPDATE: Credits for the cover and new DS9: The new station was designed by Andrew J. Probert and David George III, with the model was built by Douglas E. Graves. The nebula in the background comes from Ali Ries, while Doug Drexler put the cover design together. If you missed what happened to the original Deep Space 9, you'll need to check out George's previous 24th century books, Plagues of Night, and Raise the Dawn. Indeed now is probably a pretty good time to have a look at the reading order flow chart, and see what you need to catch up on before DS9, TNG, Titan and the Aventine all return in The Fall. It's centered around Doctor McCoy, and the bulk of it actually takes place interstitially early during Wrath of Khan; sort of between scenes. There's an entire story that I teased out of a brief sequence at the beginning of the film. 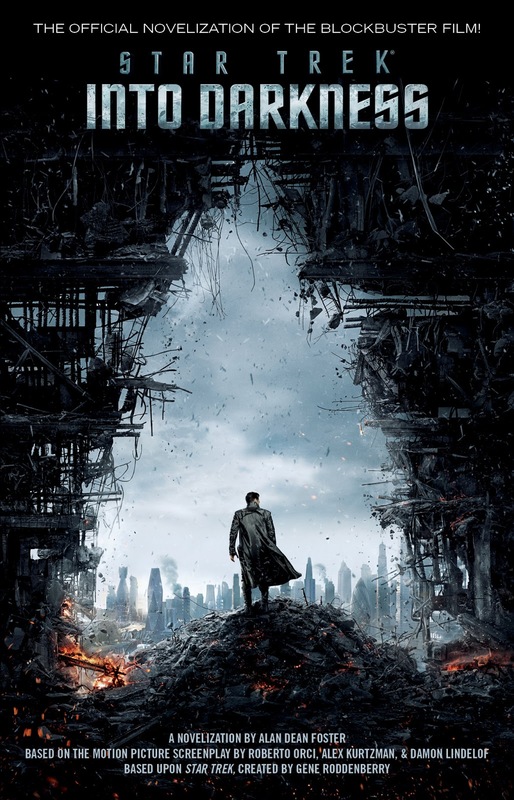 Martin mentioned he is expecting it to be released in June or July, although so far there are no listings for it on Simon and Schuster's website, or online retailers. I always start with the script. Also, in the case of this one and the previous films, I was fortunate enough to be able to see the film as it was being made and edited. That, of course, is an enormous help, which I’d almost never previously had when doing novelizations. I was very grateful for that. I had a long chat with Bob in his office at Universal. I expressed some thoughts and he came back (with his thoughts). It was a very unusual project. Usually, the people making the film have either very little interest in the book version or the interest they have is solely critical. And, in this case, there was considerably more back and forth than you usually get, which I think results in a better book. I had the character Keenser, who is the little alien who is Scotty’s assistant, talking. I gave him some dialogue, which I thought would an interesting way of expanding his character. The scene in the bar with the two of them, Scotty is just bouncing his misery off Keenser. Keenser doesn’t say anything. He just stares back at him. I originally had given Keenser some dialogue. I forget who was vetting things at the time, but I got a note saying, “Keenser doesn’t speak in the film. Can you please take the dialogue out?” I was happy to do that because I wanted the scene in the book to accord with the scene in the film. I've also got news, via my German reporter, UnrealitySF's Jens Deffner, that there will also be an audiobook version of Cross Cult's German translation of the novelization, due out in June. 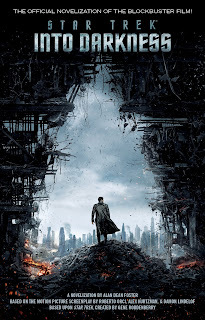 It will be read by Sascha Rotermund, the voice of John Harrison in the German dubbed version of Into Darkness.